Margaret Maggs was first diagnosed with the asbestos-related disease in 2007, reports grimsbytelegraph.co.uk. Her husband, Colin, worked as an engineer in the trawler industry, often in environments where asbestos was present. In a statement written by Mrs Maggs in 2008, she noted that her husband’s overall would be covered with dust. Although Mrs Maggs recieved secondary asbestos exposure, the coroner ruled that she died due to an industrial disease. Residents in the Charleston area of Dundee have called for asbestos checks to be carried out in local water tanks after the deadly substance was discovered in one recently. Contractors working on a major project to replace roofing on council homes in Gourdie Road and Balgarthno Road in the west of the city uncovered the asbestos at the end of April. With the story hitting the media soon after, suggestions that there could be more in other tanks nearby quickly spread. “Since the initial article went in the [Evening Telegraph] about the asbestos, people in the area have been speaking about it a lot,” said Stella Carrington, who is head of the Charleston Tenants and Residents Association. Despite the local concern, Dundee City Council has said there are no plans to conduct any more checks in the area, with Councillor John Alexander moving to reassure residents of their safety. It remains to be seen whether the local authority will stick with its decision, but the incident serves as another example of how the presence of asbestos can cause serious concern. It also has the power to damage property owner’s reputation if not dealt with properly. If you are concerned about the presence of asbestos on a site or property you manage, organise an asbestos survey today. Asbestos and the battle for safe working conditions will play a central role at Clydebank’s annual gathering for International Workers’ Memorial Day. Set to be held this Saturday (23rd April 2016), this year’s event will reinforce the message that asbestos-related fatal illness isn’t a historic malaise consigned to the history books – at least not while people are still suffering. International Workers’ Memorial Day began in Canada and was officially recognised on these shores in 2010. Since then, events have taken place across the UK to remember those who lost their lives at work, including those who died from asbestos-related conditions some years or even decades after employment. Hard-hitting speeches are to be given under the shadow of Clydebank’s memorial plinth, which commemorates those from around the world who have died from asbestos-related illnesses and was unveiled a year ago. Subjects to be covered include a greater need for negligent employers to be held more to account and for safety to be put at the forefront of all employment issues. Speakers will include Clydebank Asbestos Group chairman Bob Dickie, National Union of Journalists organiser Paul Holleran and council environment chief Mike Thomson. Hope Robertson, who lost her husband to mesothelioma, told clydebankpost.com: “The frightening thing is that people are being diagnosed younger than before, and the idea that it is all gone and in the past is wrong. Anyone working with buildings from before the year 2000 should receive asbestos awareness training. Get in touch with us to find out how we can help. A road in Derby has been closed after the local council was alerted to a pile of asbestos which appears to have been dumped. The discovery was initially made by concerned locals, who informed the police of the suspicious materials at around 9:00pm on Wednesday evening. The information was then passed to Derby City Council, which chose to shut off a mile-long stretch of Chellaston Lane, the road linking Chellaston with Aston-on-Trent. According to the council, the decision was made to “prevent people from driving over [the asbestos] and spreading it further.” Were the dumped materials to be touched, the harmful asbestos fibres could potentially be released into the air, causing risk to passers-by. There was initially some uncertainty around the items: “We had calls saying that there’s a lot of sheeting in the road. Some claimed it was asbestos, others said that it was corrugated roofing from a shed,” police said in a statement. The section of road affected is known to be a fly-tipping hotspot, although police are yet to confirm if the materials have been dropped purposely. New health screenings for asbestos-related illnesses should be introduced for anyone who may have been exposed to the deadly dust as a result of IRA bombings, according to a prominent victims’ campaigner. Kenny Donaldson, of the umbrella group Innocent Victims United (IVU), has called for the government to acknowledge its duty of care to families who have lost loved ones to conditions resulting from asbestos exposure following ‘Troubles-related incidents’, newsletter.co.uk notes. Mr Donaldson’s plea comes just weeks after two deaths were linked to asbestos following a bombing incident. Both of the victims were exposed to building wreckage at the sites of IRA explosions; Jonathan Woods was working as a detective on the scene after the Brighton Bombing in 1984, while Stuart Packard was working as a civilian security guard following the Manchester bombing in 1996. “A family which has a main breadwinner stolen does not suffer less whether that individual is killed instantly or dies a death a number of years later because of what they experienced or were subjected to through the initial incident,” said Mr Donaldson. 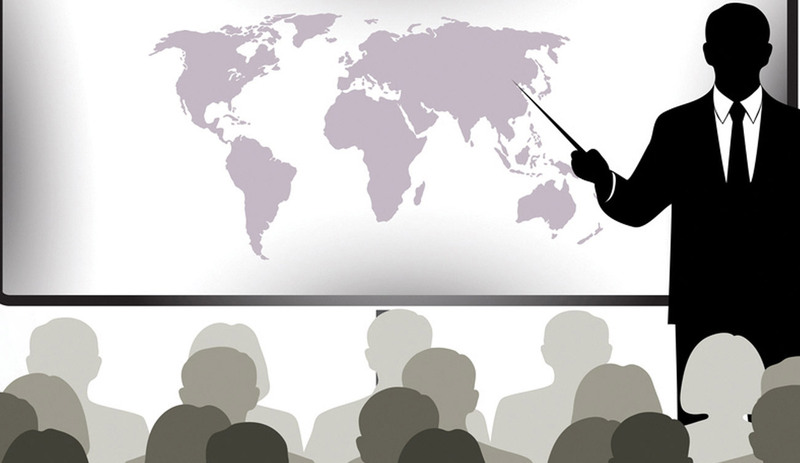 IVU is made up of more than 20 organisations, and represents an estimated 11,000 people. A St Albans cinema boss has been fined after he put workers and members of the public at risk of exposure to asbestos. James Hannaway, 68, from Berkhamstead, the sole director of The Alpha Cinema (St Albans) Limited was prosecuted by the HSE after he allowed refurbishment of the derelict multiscreen cinema to begin in 2010 without proper checks for asbestos. 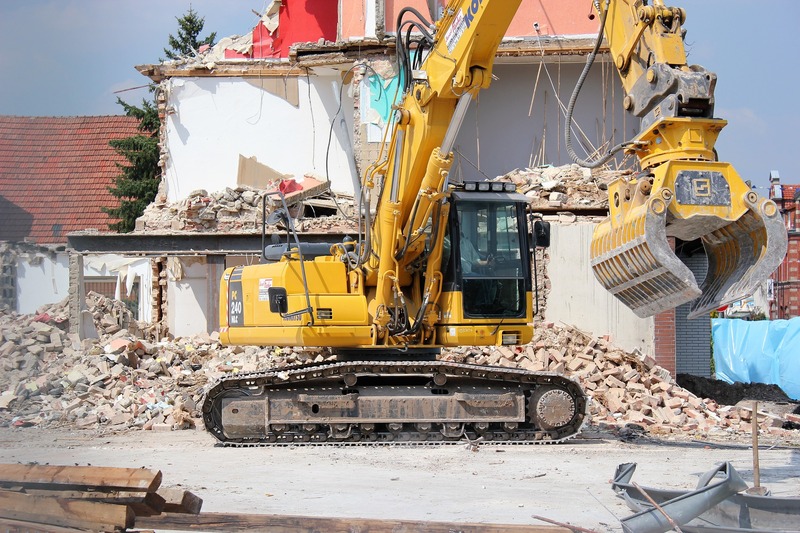 Stevenage Magistrates’ Court heard that in April 2012, Hannaway went on to engage around 30 members of the public to remove the debris from the demolition work over the course of two days. 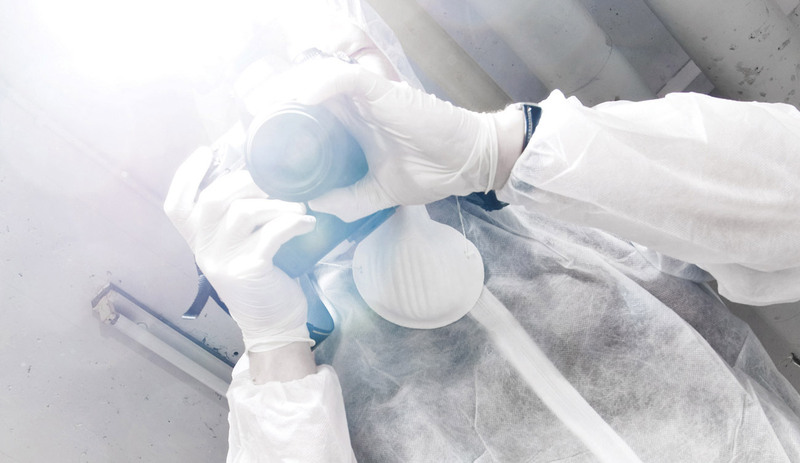 An asbestos survey was eventually carried out in early October 2012, which identified the presence of asbestos in the building (after the debris removal), and recommended that no-one entered the affected areas. Despite this, the court was told Hannaway was seen taking people into the building to view the ongoing work. Hannaway of Waterside, Berkhamstead, Hertfordshire pleaded guilty to safety breaches and was fined £11,660 and ordered to pay £7,000 in costs. HSE Inspector Paul Hoskins stated: “HSE takes these potential disturbances very seriously. “This is another example of a company failing to carry out the required asbestos checks before refurbishment work starts. A survey is required to ensure asbestos is identified and removed to prevent inadvertent disturbance.” Asbestos had been previously identified in a survey of the building carried out before it was purchased. But it is not known whether or not asbestos materials were actually disturbed during the refurbishment. Before any major building refurb, a full asbestos survey should be carried out. Contact us to find out how we can help your business. 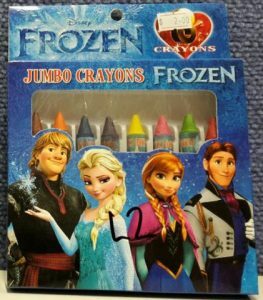 The UK Asbestos Training Association (UKATA) has argued against the decision not to recall sets of children’s crayons found to contain traces of asbestos. Craig Evans, the organisation’s general manager, said he wishes to raise awareness about the dangers of asbestos, following a decision which means that crayons with asbestos in them – that have been marketed towards young children – will remain on sale. It’s been said that the crayons, which were made in China, don’t pose a threat to anyone as the asbestos is set in the wax, though Mr Evans disagrees. One company has chosen to remove the products its shop floor, and has received praise for doing so, reports wakefieldexpress.co.uk. Some of the sets are branded with images from popular children’s TV shows and films, such as ‘Peppa Pig’ and ‘Frozen’, making it difficult for parents to know which products are safe. Mr Evans also pointed out that asbestos cannot be identified easily, especially when it is hidden in unexpected areas. Image courtesy of Australia Consumer and Competition Commission. A management survey was carried out. It identified the plasterboard panel forming the wall in the 1st floor bedroom. The surveyor was correct not to inspect the wall void for this type of work. The wall was due to be refurbished in order to create disabled access to the room, the duty holder chose not to carry out a refurbishment survey, assuming the management survey would be sufficient. A labourer (not asbestos awareness trained) pulled the wall down, but was stopped by his supervisor (whom had sufficient training) following his return to the work area. The material within the wall void was identified as loose, pure Amosite (Grunerite) sitting behind a hessian ‘net’ which was stapled to the timber frame. Prohibition order (Stopping the company working until such time they show improvement in procedures) £? Her Majesty the Queen could soon be forced to vacate Buckingham Palace, as sources say there are “significant amounts of asbestos” that need to be removed. Maintenance costs are expected to climb as high as £150 million, as the central London palace also requires new plumbing and wiring. Some of the rooms haven’t even been decorated since 1952, bbc.co.uk reports. It is still to be determined whether the refurbishment will be undertaken in one go or if work will be staggered over a longer period. The need for asbestos removal has highlighted the latest figures from royal accounts, which show that the Queen and her household cost the taxpayer £35.7 million – or 56p per person every year, cityam.com notes. The widow of a former electrician said he was never warned about or protected from asbestos, so she is now appealing for further information from colleagues. Peter Redman from Hull passed away at the age of 81 in November 2013. He was diagnosed with lung cancer, which may have been brought on by exposure to asbestos. His career as an electrician spanned from 1952 to 1997. However, it is his time working for Humber Electrical Engineering Company in which his widow’s lawyers are most interested, as he worked in a number of locations where exposure to asbestos was possible. Shirley Redman has questioned why Peter’s employer did not take the appropriate steps to protect him or his colleagues from asbestos when they were aware of the risks involved. More than once during his employment, Mr Redman worked beside boiler laggers using asbestos insulation. Oliver Collett from Thompsons Solicitors, the firm looking into Mr Redman’s death, asked anyone who knew him during his time at Humber Electrical to come forward, so that his employers may be brought to justice. A council in East London that was made aware of the presence of asbestos in its own town hall reportedly waited ten years before taking any action to have it removed. The Health and Safety Executive has now stated that “an unquantifiable number” of employees and contractors have been exposed to asbestos as a result of the council’s disregard. Fines of £66,000 were issued after the council admitted Health and Safety at Work offences. Many former employees and members of the public service union Unison have protested outside the public buildings since the news broke. Unison branch officer Dave Knight has called it “a matter of criminal negligence”. “There should be some real accountability when serious, life-threatening breaches of health and safety legislation occur. We therefore call on Waltham Forest Council to launch a full inquiry into all the circumstances that have led to this prosecution,” he added. A council spokesperson said they “fully accept” that they should have done more, bbc.co.uk notes. As many as 30,000 police officers may have been exposed to asbestos at some point, as the material has been found at a number of training facilities, according to the Metropolitan Police. The buildings, which were used for firearm training between 1980 and 2007, are currently under examination to identify which contain the deadly material. Any officers who may have come into contact with asbestos are now being contacted by the Metropolitan Police, including those that have retired from or left the force, reports bbc.co.uk. Chief superintendent Mike Gallagher, from the Specialist Firearms Command, said the force will offer full support to any officers affected; they will receive guidance, contacts, advice and detailed information regarding asbestos exposure. Professor John Cherrie of Heriot-Watt University in Edinburgh stated that low exposure to asbestos is unlikely to cause any harm, but prolonged contact can cause serious diseases. Therefore, only those who work directly with asbestos on a daily basis are thought to be at risk. Dacorum Borough Council was forced to remove chunks of asbestos from a group of garage blocks after children were seen throwing them from the roofs. Carol Lilley, a grandmother from Warner’s End in Hemel Hempstead, spotted the children and reported the incident to the local council. Although workers came to remove the chunks of cement, which were laced with asbestos, Ms Lilley believes that not enough is being done to protect the children from further danger. She expressed concerns that the children could get lung cancer later in life by breathing in the toxic fibres, but the council stated that it is unlikely the children would have breathed in any fibres just by picking it up. A spokesman for the council said the fibres within asbestos cement products are only released into the atmosphere when the cement is broken, eroded or drilled into. In addition to removing the material, the council plans to put up signs to warn people of the fragile roofs. Eventually, the roofs will be replaced with a much safer material. Upmarket department store Harrods, which proclaims itself the “world’s most famous”, is being placed under the spotlight today after an ex-employee revealed she has been diagnosed with terminal cancer. Lingerie seller Sandra Schaverien, 75, is currently appealing for former Harrods colleagues to come forward with any information they may have on the subject. It is believed the store contains asbestos, with the biggest concern coming from the dust in underground tunnels which Mrs Schaverien used to walk through to collect merchandise, standard.co.uk reports. Irwin Mitchell, her solicitor firm, is now investigating the matter on her behalf. The victim’s diagnosis came two years ago after she had suffered from chest pains and breathing issues, watfordobserver.co.uk notes. This led to Mrs Schaverien needing surgery to re-seal her lungs, and as her health deteriorated she was forced to put her husband, who suffers from Parkinson’s disease, into a care home. Mrs Schaverien has three children and lives in the village of Radlett in Hertfordshire. She worked in the Harrods lingerie department for ten years between 1991 and 2001. “I hope my former colleagues get in touch as any information, no matter how small, could help get the answers I need,” she said. New research conducted to mark Workers’ Memorial Day (April 28) has found that more than two-thirds of employees have to work in potentially hazardous conditions. A study by the Trade Union Congress (TUC) aimed to discover how many people working in the UK could be at risk from dangers including asbestos and radiation. Of the 500 people surveyed, 71 per cent were found to be exposed to, or at risk from, health-harming substances, huffingtonpost.co.uk reports. Frances O’Grady, TUC general secretary, has confirmed that for many of the respondents the risks are present on a daily basis, and yet every single one of the cases could be prevented. “Many of these substances could be removed from the workplace or their use reduced – but where this is not possible, workers need much better protection. That means stronger regulation, and, more importantly, proper enforcement,” O’Grady said. Workers’ Memorial Day is an annual event intended to serve as a rallying cry to “remember the dead, but fight for the living”, tuc.org.uk notes. It aims to call out those employers who “decided their [employees’] safety just wasn’t that important a priority”. Events were held across the UK on Tuesday, including a wreath laying at the Building Worker statue at the Tower of London. A trader who was not licensed to remove asbestos has been given a suspended jail sentence after he left asbestos debris in a couple’s home. Clive Raper, who traded as Bramley Asbestos Removals, was hired by a couple in Leeds to remove asbestos insulating board from their garage. However, Mr Raper did not hold the proper licence, nor did the two workers he hired to help him complete the job. He also failed to carry out vital safety measures and implement legal controls, putting his workers and the couple at risk, reports yorkshireeveningpost.co.uk. The incident was reported to the Health and Safety Executive (HSE) in 2011 after the concerned couple contacted Leeds Council. Mr Raper will serve eight months in prison after his 12 month suspension and is required to pay £260 in costs, reports hse.gov.uk. Paul Yeadon, HSE inspector, said it was unable to find the two workers who helped Mr Raper carry out the work. A Liverpool NHS Trust has pleaded guilty to putting its employee’s lives at risk by allowing them to become exposed to asbestos. The Royal Liverpool and Broadgreen University Hospitals NHS Trust was fined £10,000 and must pay an extra £696 in prosecution costs. Liverpool Magistrates’ Court was told by the Health and Safety Executive (HSE) that the trust failed to act after a 2006 survey revealed the basement of its offices at Derwent House may contain asbestos. The trust received a recommendation to properly assess the condition of the areas containing asbestos, but it did not. Employees continued to go down into the basement in order to access patient records on a regular basis, reports hse.gov.uk. The risk of exposure to the deadly fibres was only recognised when the doors of a goods lift in the basement, which was not being used, became damaged. It was later discovered that the doors contained asbestos; fibres were also found in a number of other areas after a survey was carried out, reports liverpoolecho.co.uk. Imran Siddiqui, HSE inspector, said that breathing in asbestos fibres leads to the deaths of around 4,000 people every year in the UK. “It’s therefore vital that organisations take the risks from asbestos seriously,” he added. “The trust, in line with the 2006 survey, should have assumed asbestos was present in an area of the basement and taken appropriate action to make it safe for people working there. Ex-England hero Stuart Pearce is backing the Health and Safety Executive’s (HSE) asbestos awareness campaign, after revealing he was probably exposed to the deadly dust as a tradesman in his pre-footballing days. The Nottingham Forest manager, who earned the affectionate nickname ‘Psycho’ during his playing career, spent four years in the early 1980s as an apprentice electrician with Brent Council. However, he did not realise that whilst rewiring a variety of buildings, he may have unknowingly come into contact with asbestos and now has fears of developing lung cancer. Pearce revealed in mirror.co.uk that he remembers receiving safety briefings on hats and boots, but doesn’t “recall asbestos mentioned once. It’s chilling to think of the risks we were exposed to”. He is now backing the HSE’s Every Job Beware Asbestos campaign, which aims to raise awareness of the dangers which still exist today. Around 1.3 million workers are still at risk of exposure to asbestos, which can lead to the incurable disease, mesothelioma. Some 20 people die each week from related illnesses. Asbestos has been found in the Bullnose area of St Andrew’s Dock in Hull, forcing the council to close it off to the public. The discovery was made by staff during demolition work – part of a £50,000 Hull City Council development on the iconic Lord Line building. The owner of the building, Manor Property Group, had ignored several repair notices. Now, the council has taken immediate action by closing the dock’s key access routes and requesting that people avoid the site until further notice, itv.com reports. The public footpath running alongside the riverfront which provides access to Subway Street will be reopened as soon as the all clear is given. Meanwhile, Jerry Thompson of the Bullnose Memorial Group has expressed his concern over the discovery after revealing to hulldailymail.co.uk that he worked on the buildings last year as part of maintenance work. The fire service has issued a warning against people entering disused buildings after a teenager was recently exposed to asbestos dust in a former hotel in Devon. After the 16-year-old girl entered the Quality Hotel in Plymouth through a broken window, she became stuck on the first floor canopy. Fire and police officers were called, and used a ladder to help get her down. The building contains asbestos, so the girl was told to dispose of all the clothes she was wearing at the time with the aid of a licensed waste handler. She was also given advice regarding medical symptoms and decontamination showers, reports torquayheraldexpress.co.uk. Group manager Paul Bray from the Devon and Somerset Fire and Rescue Service says it “strongly discourages” anyone else from entering the site unless they have permission, due to the risk of asbestos exposure. “Although this might seem like a minor mishap on the part of the young person, the inside of the hotel has been vandalised, breaking plaster walls and ceilings containing asbestos,” he explains. The security of the building will now be increased, to ensure a similar incident does not occur again, reports wellsjournal.co.uk. A social club in Stockton-on-Tees has been fined thousands of pounds after it decided to remove asbestos insulation boards itself, rather than hiring a licensed removal company. Elm Tree Social Club pleaded guilty to four offences under the Health and Safety at Work Act 1974, and must pay a fine of £1,200 and costs of £800, as well as a £30 victim surcharge. The alarm was raised after an anonymous complaint to Environmental Health was made back in 2013. Officers then visited the club to investigate, and found that asbestos was still on the ceiling, reports gazettelive.co.uk. The club was ordered to hire a licensed firm to clean the area and conduct air tests to ensure all the asbestos fibres were gone. Representatives of the club said they believed that the correct procedures were carried out at the time, reports thenorthernecho.co.uk. Councillor Steve Nelson, Stockton Council’s cabinet member for housing and community safety, noted that the council will “deal robustly” with anyone who does not remove asbestos safely. “Asbestos is a dangerous material which, in certain situations, can cause long-term health problems if it is not removed and disposed of correctly by licensed professionals,” he stated. “In this case Elm Tree Social Club failed to ensure the health and safety of their employees. An ex-council employee who worked in a basement contaminated with asbestos said workers’ lives were put “at risk every day to get the job done”. Waltham Forest council is currently on trial at Westminster Magistrates Court, and has pleaded guilty to four counts of breaching health and safety regulations, as it failed to protect its staff from asbestos exposure. The council was first made aware of the presence of asbestos in the basement print room of Walthamstow town hall in Forest Road back in 2002, but no further investigations or checks were carried out, reports thisislocallondon.co.uk. Staff members were later exposed to all three types of asbestos, as the deadly fibres were disturbed. The issue was only exposed in 2012, when local resident, Nick Tiratsoo, submitted a Freedom of Information request. This request was denied, because the documents were contaminated with asbestos, so Mr Tiratsoo decided to alert the Health and Safety Executive (HSE), reports guardian-series.co.uk. Kenneth Moore, one of the people that worked in the basement between 2009 and 2012, said he will be worried about the possibility of developing asbestos-related cancer for the rest of his life. “It was like a scene out of the ‘X Files’,” he said. 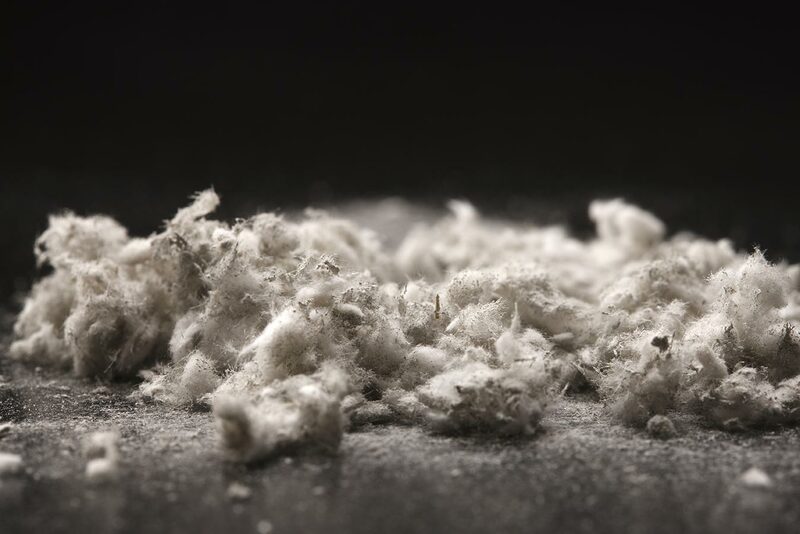 North Devon Homes has been fined £1,000 for failing to give full details of asbestos at a property to one of its subcontractors, resulting in an employee being exposed to the deadly fibres. The social housing provider employed Pilkington Plumbing & Heating Ltd (PPH) to refurbish the heating systems of 200 homes. However, the subcontractor was not given all the information regarding asbestos at the properties necessary, and one of its employees ended up drilling a hole into a panel containing asbestos at 3 Jubilee Close, reports northdevonjournal.co.uk. An investigation began when the incident was reported to the Health and Safety Executive three days later. Stephen Covell, who prosecuted on behalf of the HSE, said the contractor had to use an online portal to get information about the properties, but not all the relevant documents were present. North Devon Homes Ltd of Westcott Road, Barnstaple, was fined £1,000 after pleading guilty to a breach of Construction Regulations. It also has to pay costs of £650, reports northdevongazette.co.uk. On October 8 2014, Pilkington Plumbing and Heating Ltd of Pilton Street, Barnstaple, was fined £1,500 after pleading guilty to two breaches of Control of Asbestos Regulations. It too was ordered to pay costs of £642. One of the UK’s largest companies in the 1960s knowingly exposed its employees to deadly asbestos while reaping huge financial rewards, according to declassified government files. 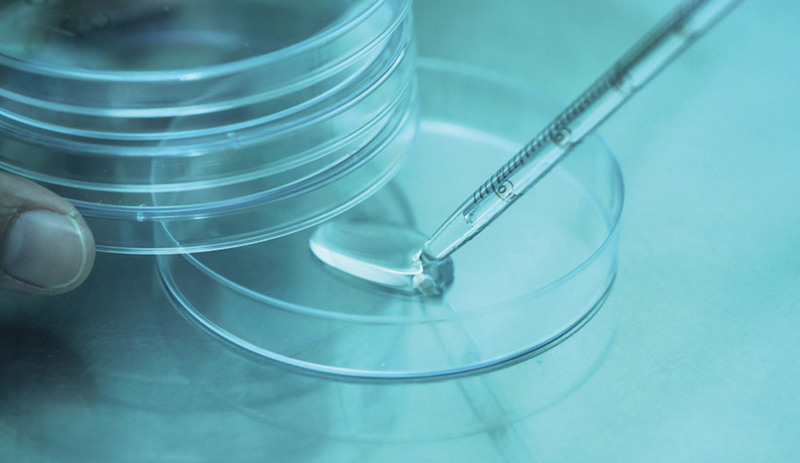 Turner and Newall, based in Ballycare, Northern Ireland, used a PR firm to play down the health risks that exposure to asbestos can induce, such as mesothelioma. Twenty year old files released from Belfast’s Public Records Office also show that the firm placed huge pressure on government officials to use its products for government contracts, newsletter.co.uk reports. In the files, an unidentified official expressed his concern, stating that the government was “well aware of the problems which arose in the past” with its product. However, the following month another unidentified official signed the contracts for asbestos cladding in Ministry of Commerce factories, stating he had been “impressed” by the argument presented by a Turner and Newall employee known as Mr Elser. A 1985 memo from John Caldwell at the Industrial Development Board (IDB) states that asbestos cladding in factories was “a dangerous and sensitive matter”, and that the IDB risked negative publicity if it did not appear conscientious. Turner and Newall’s Turners Asbestos Cement Co Ltd was inundated with multi-million pound compensation claims for asbestos exposure and finally went into administration in October 2001. Approximately 4,000 people die from asbestos-related causes every year. The material has been banned in the UK since 1999, but the dangers of asbestos are often not seen until decades after exposure, rochdaleonline.co.uk notes. Brits could be spreading asbestos particles throughout their home simply by putting up vintage Christmas decorations, the UK Asbestos Training Association has warned. Fake snow used in the 1940s was often created using pure asbestos, so any decorations containing the white powder could be putting people’s health at risk. Manufacturers of baubles, wreaths and statues made in the 1930s and 40s often used fake snow in their products. Fake snow only stopped being produced once the Second World War began, as the material was needed to insulate ships and aircrafts, reports telegraph.co.uk. Brits are being advised to throw out any old decorations that may contain fake snow. Craig Evans, manager of the UK Asbestos Training Association, said many people may have no idea they’re running the risk of exposing themselves to asbestos every Christmas. Asbestos can cause mesothelioma, a type of cancer which is incurable at present. Around 2,500 people in the UK are diagnosed with the illness every year, reports mirror.co.uk. A staggering 85 per cent of new ships still contain asbestos, despite many displaying certificates ‘proving’ they are free of the material, according to a new report. The use of asbestos on new ships, hovercrafts and other vessels was banned by the Merchant Shipping and Fishing Vessels (Health and Safety at Work) (Asbestos) Regulations in 2010. 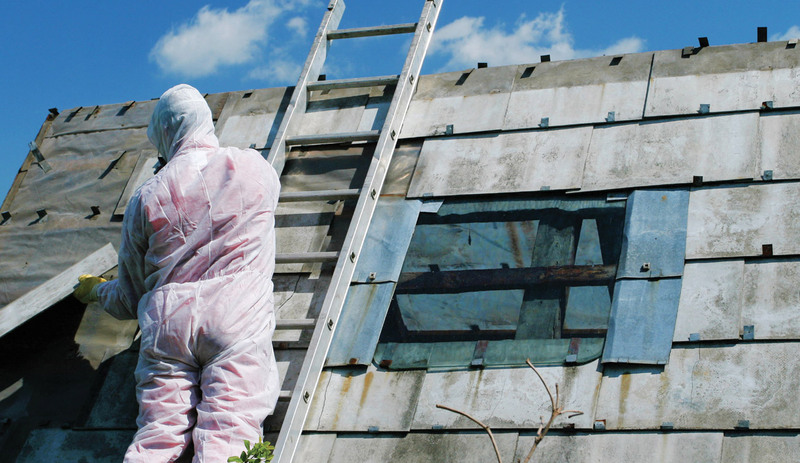 Despite this, asbestos is still being discovered, access-legal.co.uk reports. Although many industry observers believe that shipyards are acting in good faith, they feel they’re being let down by shady suppliers. 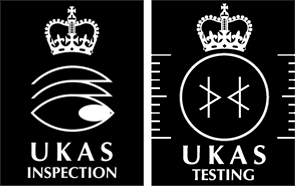 Now, SOLAS (the International Convention for the Safety of Life at Sea) is insisting that more credible independent asbestos surveys are carried out on new ships, and that suppliers must give declaration that a unit is asbestos free via a formal certificate. Sara Hunt, a partner with Access Legal specialising in asbestos and mesothelioma claims, said: “I am very concerned to learn about the continued use of asbestos in this way in the ship building industry. 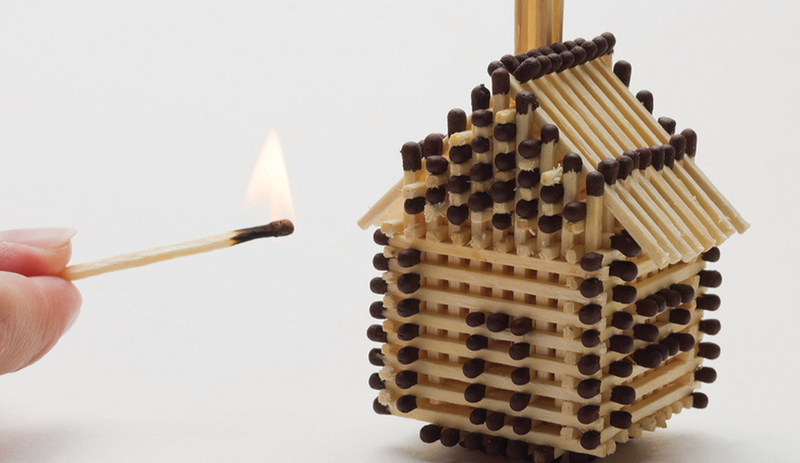 The risks associated with the material are now well known and exposure can be fatal. More than 2,000 people in the UK die from asbestos-induced illness every year, according to hse.gov.uk. Plans to turn an open storage unit on the Loco Works site into a special ‘waste transfer station’ have been slammed by Horwich residents, after it was revealed that asbestos currently in the industrial buildings may remain in the new development. Urban Quarry Ltd, which is behind the proposed application, has stated that it is taking care to ensure the appropriate safety measures are in place, and that the works will be regulated by the Environment Agency. However, the potential for asbestos to remain on site is a major concern for locals, theboltonnews.co.uk reports. If the plans are green lit, the new station would be used to handle waste produced from the demolition of other Loco Works buildings, which are set to be replaced by a new 1,700-house development. While that development has council support, plans for the open storage space are likely to be rejected for the second year running, thisislancashire.co.uk notes. 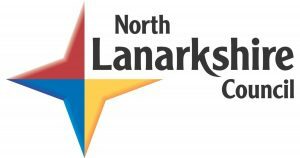 North Lanarkshire Council has announced it will be placing greater emphasis on educating workers on the risks of asbestos. 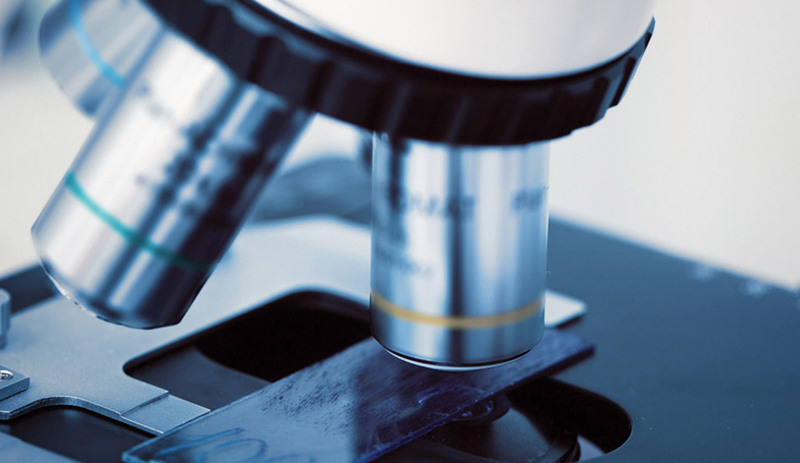 Tradespeople in the towns of Cumbernauld and Kilsyth who may come into contact with asbestos on the job will be offered advice on how best to manage the risks that being exposed to the fibres can present on premises with no asbestos testing completed. Tying in with the Health and Safety Executive’s (HSE) campaign for asbestos awareness in the workplace, asbestos safety kits will now be distributed to those working as as joiners, plumbers, electricians, plasterers, painters and decorators, builders, heating engineers, roofers and caretakers, cumbernauld-news.co.uk reports. A new Beware Asbestos web and mobile app is also available for free, construction-manager.co.uk notes. Environmental services convener Councillor Helen McKenna said: “Asbestos can be found in ceilings, floors, boilers, bathrooms and other locations within both residential and industrial buildings, so tradespeople could come into contact with the substance on a regular basis. Tradesmen in Newcastle come into contact with asbestos 115 times a year on average, new data from the Health and Safety Executive (HSE) has revealed. The study, conducted by Censuswide in September 2014, also showed that, while 53 per cent of tradesmen knew that they may be exposed to asbestos in buildings built before 1970, only 15 per cent were aware that buildings built up to the year 2000 may still contain the deadly material, chroniclelive.co.uk reports. The figures have encouraged a former electrician battling an asbestos-caused cancer to urge fellow tradesmen to be more aware of the possible dangers of their work environments. Simon Clark, who was diagnosed with mesothelioma in 2012, said: “When I was younger I didn’t think of the dangers of asbestos and I must have been exposed to it frequently. Since being diagnosed, I’ve had to give up my work and let some of my employees go – which is the hardest thing I’ve ever done. HSE has now launched a free ‘Beware Asbestos’ app for tradesmen, helping them to identify whether their workplaces present a risk of exposure to asbestos, cnplus.co.uk notes. Health and safety inspectors are to begin making unannounced visits to construction sites across South Yorkshire to ensure working with asbestos and other high-risk activities are being managed correctly. Immediate action will be taken against any contractors failing to meet the acceptable standards, and work will be halted, thestar.co.uk reports. The month-long campaign comes as a result of an estimated 7,000 construction workers throughout Yorkshire and Humber who are now suffering from ill-health as a direct consequence of their work. There are more mesothelioma deaths in the UK than in any other country worldwide, telegraph.co.uk notes. “Time and again we find smaller contractors working on refurbishment and repair work failing to protect their workers through a lack of awareness and poor control of risks,” Bradley said. “This isn’t acceptable – it costs lives, and we will take strong and robust action where we find poor practice and risky behaviour. A leading housing group claiming to “invest in people” has failed to remove asbestos from the flat of a pensioner – despite the fact that she suffers from a chronic lung condition. Devon and Cornwall Housing (DCH) were first notified of asbestos tiles by Penzance resident Annette Attmere, 63, in January 2014. After a nine month battle with her landlord, Miss Attmere’s Alverton flat still contains broken asbestos tiles, cornishman.co.uk reports. It was only after Miss Attmere’s son, Steve, contacted cornishman.co.uk that DCH visited the property. However, asbestos floor tiles remain in two rooms. A cultural and community centre in Slough has had its building work delayed after asbestos was found on site. The centre, known as The Curve, will now open ten weeks later than expected due to the find. Asbestos pipework lagging was discovered where an old Age Concern day centre used to be back in January. Specialist contractors were needed in order to safely remove the materials. At one point, Slough Borough Council thought about suing the contractors who knocked down the old day centre, as it wasn’t clear if they should have been responsible for removing the old pipework or not, reports sloughobserver.co.uk. However a report revealed that the council did not have a case. It cost £35,000 to remove the asbestos, with the delay costing a further £352,200, reports sloughexpress.co.uk. The Curve will now open sometime during December, rather than its original September deadline. Inside the £22 million centre will be educational facilities for adults, a new library and a café. The Health and Safety Executive (HSE) is considering taking legal action against Mid Devon District Council (MDDC) after it failed to follow regulations when removing asbestos. It’s possible that residents living in Brays Close were exposed to brown asbestos during the removal of soffits last month. New information indicates that the council’s contractors, Phil Squires, did not follow guidelines when removing the material. Phil Squires was aware of the contamination too, as in 2012 the contractor reported there was asbestolux in the soffits, reports middevongazette.co.uk. Brays Close resident, Peter Bearder, who complained back in January that his flat was full of asbestos, said the council didn’t tell local residents that the removal work was taking place. He told a number of asbestos managers about the way the material was removed and they all said that it had not been done properly, reports bbc.co.uk. Head of the council, Nick Sanderson, stated that the incident is being taken seriously. A metal recycling business in Hartlepool has been fined £12,000 for removing asbestos without following the special measures required. Baxketh Ltd removed pipes lagged in asbestos after it agreed to remove steelwork on behalf of UK Tankcleaning Services Ltd in Billingham. The firm took no payment for the removal and instead agreed to use the metal it moved for scrap, reports theconstructionindex.co.uk. Following a complaint from an employee of another business nearby, Baxketh was visited by the Health & Safety Executive (HSE) inspectors last year. A sizeable amount of damaged insulation and pipework was found scattered about on the site and one of the directors, Michael Almond Junior, was seen operating a mechanical excavator to move the steelwork into a skip. After the inspection, Baxketh was served a notice and had to stop work, Teesside magistrates heard. UK Tankcleaning Services Ltd was also told to carry out an asbestos survey. The HSE carried out tests on the materials found on the floor of Baxketh’s premises and discovered that it contained asbestos, reports insidermedia.com. HSE inspector, Julian Nettleton, said UK Tankcleaning Services Ltd failed to inform others of the location of asbestos on its site, whereas Baxketh should have carried out an assessment before moving the steelwork. “Asbestos is the single greatest cause of work-related deaths in the UK and there is a lot of industry in the Teesside area that still uses, or occupies premises that have old chemical processing plant dating back to the 60s,” he explained. “Almost all of it was lagged with asbestos in those days. UK Tankcleaning Services Ltd was also fined £10,000. Builders are concerned about their health after they discovered asbestos at Warwick University. Asbestos fibres were released into the air by the builders after they blasted through some desks. At the time, they were working on renovating the halls of residence on Westwood Campus. 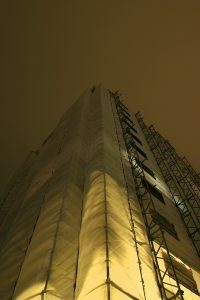 The builders were evacuated and the site was shut, with the workers’ clothes burned as a precaution, reports conventrytelegraph.net. One worker, who did not want to be named, expressed their concern about the exposure. They said they are worried about the possible long-term effects as it’s not possible to know if the asbestos will suddenly make them ill 30 years down the line, reports constructionenquirer.com. A spokesperson for Deeley Construction, which is the company operating on the site, said safety is of utmost importance to the business. Around 4,500 people die every year due to asbestos exposure, according to the Health and Safety Executive. Residents of a tower block in Motherwell, Scotland have been forced to leave after asbestos was discovered in the building. Scottish Power employees came across the substance in the building whilst replacing mains cables, bbc.co.uk reports. North Lanarkshire council has since carried out tests to confirm whether the substance is present or not. A spokesperson said the council aims to get the residents back in the building as soon as it can. Accommodation is currently being arranged for the tower’s tenants and a temporary reception centre has been set up, dailyrecord.co.uk writes. More than 100 people currently live in the building. Specialist asbestos contractors will be conducting a clean-up operation and the air quality will be tested again to make sure all the asbestos has gone. 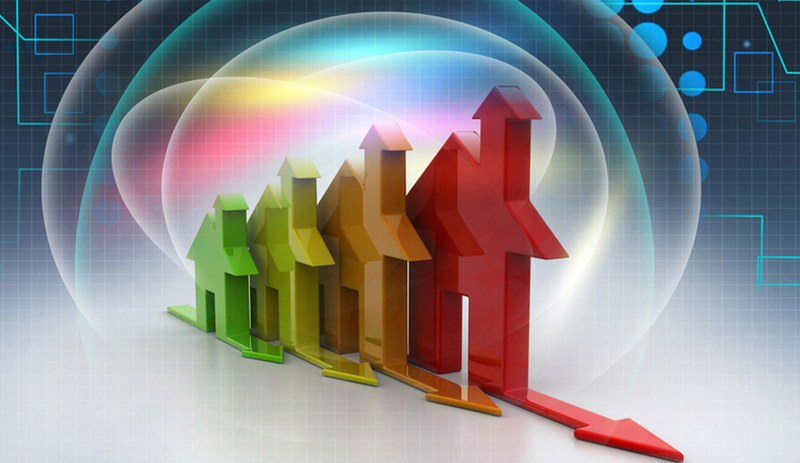 Once the tests show satisfactory results, the tenants will be allowed to go home. North Lanarkshire Council adds that its happy with the way its staff members acted on the asbestos scare, praising them for coming out at short notice to help those affected. If you are concerned about the presence of asbestos in a property, then get in touch with us today by calling 0800 0141 858 to request an asbestos survey. An ex-employee of Marks & Spencer says she feels “betrayed” by the firm, after it admitted that she had been exposed to asbestos. Janice Allen, 53, has been diagnosed with mesothelioma, which is a form of lung cancer caused by the inhalation of asbestos fibres. There is no cure and she has just a few months to live, reports theguardian.com. Until recently, she was completely unaware that she had been exposed to the deadly fibres. Mrs Allen worked in two Marks & Spencer stores between 1978 – 1987; its main store on Oxford Street and another store in Uxbridge. Some 25 years after leaving the company, she started to notice a pain near her ribs and was later diagnosed with cancer. Her lawyer suggested that M&S may to be blame, as it’d been fined for exposing employees to asbestos before, reports hereisthecity.com. Back in 2011, M&S was found guilty of unsafe handling of asbestos in its Reading store and was fined £1 million. Mrs Allen will receive a significant amount of damages from M&S, after admitting breaching its legal duty of care. A Battersea building firm has been fined after it failed to tell contractors of the known asbestos risk at one of its warehouses in Berkshire. The firm knew that the building had asbestos insulating board (AIB), but did not share this information with the team on the ground, which meant that they did not take the necessary precautions when removing it. The error was identified by the Health and Safety Executive (HSE), which led the prosecution after investigating the contamination of the building in late 2011. Although a survey of the building was completed to check for the presence of asbestos two months before work began, this report was not then handed on to the site’s foreman. Asbestos fibres can cause terminal health conditions if inhaled, but this is easily avoided if the correct procedures are put in place. Redwood Contractors Ltd were fined £10,000 and ordered to pay £2,857 in costs after pleading guilty to two separate breaches of the Control of Asbestos Regulations 2006, hse.gov.uk reports. Karen Morris, HSE inspector, told constructionenquirer.com that she was disappointed that the people working on this building were put at risk needlessly, just because the asbestos survey was not supplied to the team.